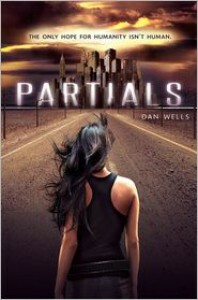 With a scarily realistic dystopian future as its setting, Partials quickly captured my attention. As the stakes became higher and the plot picked up its pace, I found myself completely unable to put Partials down. Add in some (mostly) well fleshed-out characters and Partials was destined for success!One of my favourite things about reading good dystopia is its ability to place me into a future I can envision with ease. Considering the state of the world right now, with some countries threatening nuclear war, I can easily imagine a future like we see in Partials, where a nation develops a technology that is able to fight their wars for them. I can also easily imagine that technology being advanced enough to begin to think for itself, and to dislike what it’s being forced to do under the command of humans, so it turns on them. And with the development of biological warfare, the idea behind a virus like RM touches so close to home, that it’s almost scary.But as strikingly realistic as Partials’ setting was, it was its plot that truly took center stage for me. Fast-paced and breathless, I literally couldn’t put Partials down because there was never a calm enough moment – every time something got resolved, something else happened that forced me to keep reading. 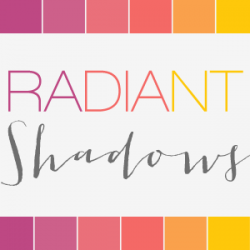 Whether it was an actual action scene, like when Kira fled from a group of Partials hell-bent on destroying her and her companions, or a political move that had me gasping out loud in astonishment, I was constantly entertained by Partials’ plot. Twists and turns abundant, not only was I constantly surprised by the direction Wells took the plot, but it made for such a suspenseful read that I finished Partials in one sitting.The only thing I can say I didn’t love was all of Partials’ characters. I absolutely loved Kira – her determination to save her friends’ baby was truly touching, and her courage in the face of the unknown was inspiring. I loved that she had such passion for the things most important to her, and that she was able to set aside how she felt about her boyfriend, Marcus, in order to focus on what was more important – finding a cure for RM. I loved Marcus – his humour had me literally laughing out loud, and the happier moments between he and Kira warmed my heart. I was furious with him for trying to control Kira’s life, but it also allowed me to be proud of Kira when she stood up for herself and what she believed in. I also really enjoyed Samm and the strange relationship that he developed with Kira. I found him really fascinating, and his treatment at the hands of humans brought up some really interesting ethical questions that Wells managed to have Kira think about without preaching.But with some of the other characters, I had a hard time distinguishing who they were. They weren’t fleshed out enough for me to get a good handle on their specific roles in relation to the plot, and I found myself confusing some of them during different moments. But considering the scope of the characters involved in Kira’s quest for a cure, I still think Wells handled it well.With a shocking revelation towards the end about Kira’s past, the seemingly futile hope for a cure that’s just out of reach, and the promise that Partials and humans might need to work together in order to save each other, I think it’s almost redundant for me to say that I am eager for Partials’ sequel!